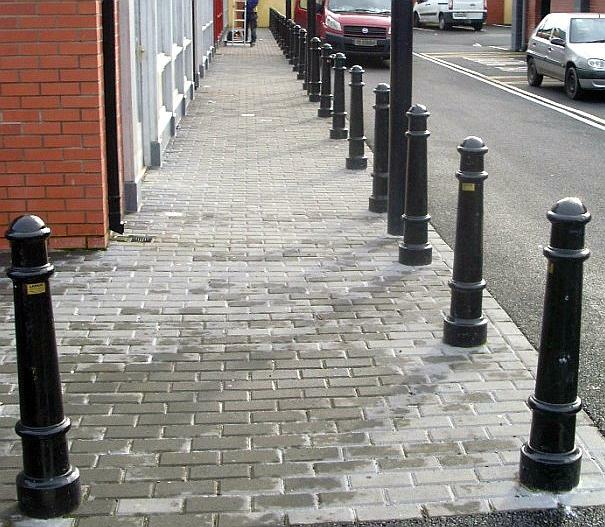 Merlin Industrial now have a new wider range of bollards for your street, warehouse or, as they are fully weatherproof anywhere you like. From the 17th and 18th centuries, old cannon were often used as bollards on quaysides to help moor ships alongside. The cannon would be buried in the ground muzzle-first to approximately half or two-thirds of their length, leaving the breech (rear end) projecting above ground for attaching ropes. Such cannon can still occasionally be found. Bollards from the 19th century were purpose-made, but often inherited a very similar “cannon” shape. Wooden posts were used for basic traffic management from at least the beginning of the 18th century. An early well-documented case is that of the “two oak-posts” set up next to the medieval Eleanor cross at Waltham Cross, Hertfordshire, in 1721, at the expense of the Society of Antiquaries of London, “to secure Waltham Cross from injury by Carriages”. Similar posts can be seen in many historic paintings and engravings. For even more models please visit the page below. Metal coat hooks bend and break leaving sharp edges that can be dangerous especially with children around. 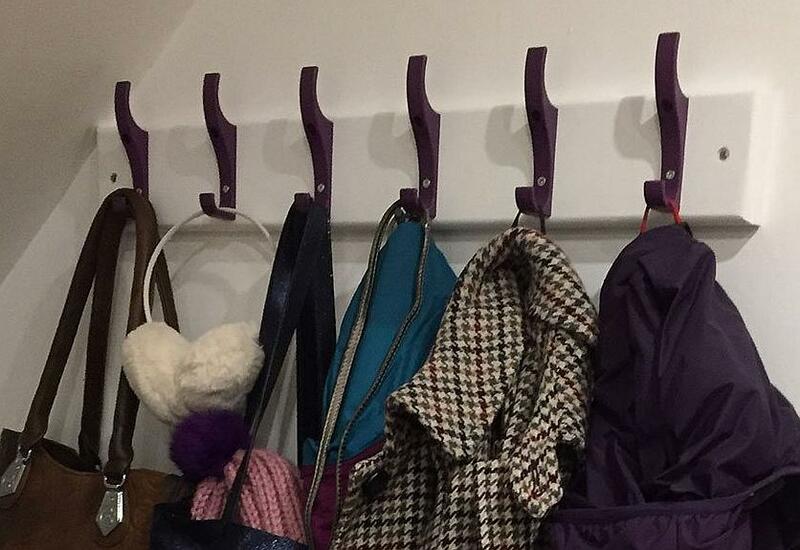 The plastic coat hook offers many more advantages over the steel and aluminium coat hooks and newer models can be supplied that are anti-bacterial to prevent the spread of germs around a cloakroom. As well as the individual hooks we can also supply on a white laminated bar for easy installation. 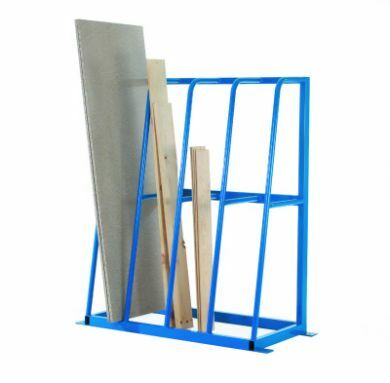 Vertical Storage Rack are designed to provide organised storage for lengths of bar, pipe, timber and similar materials. The unit can be bolted to the floor for extra safety. A cost effective way of storing all those long and awkward items. The bays come with 3 dividers, all necessary frames and base plates, two front beams and one back beam and base rail. 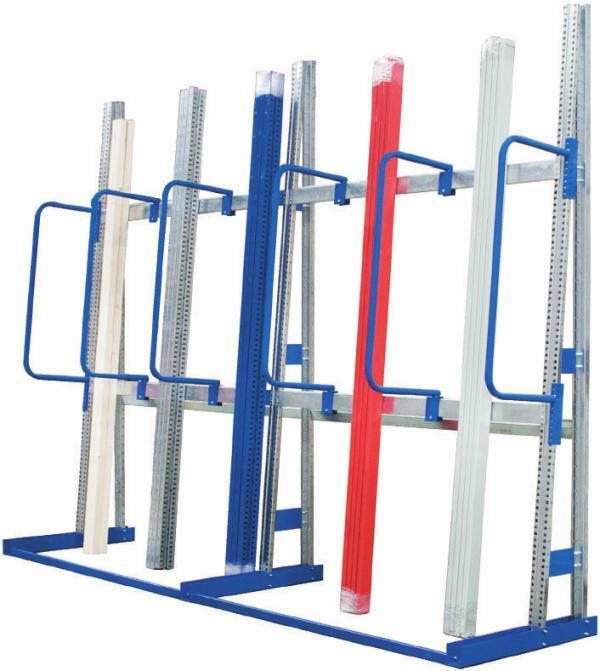 Other size racks available to order, please contact the sales office. 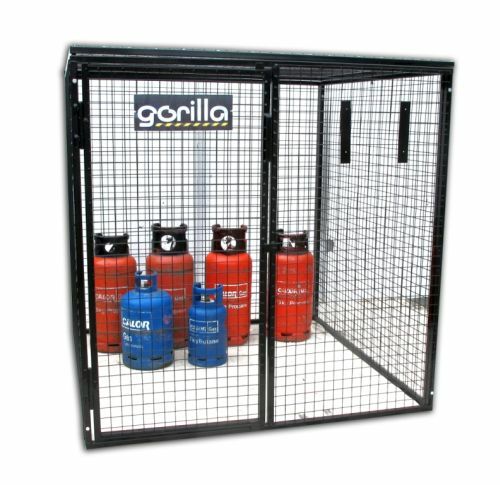 A unique galvanized security cage the Gorilla Gas Cage has a tough and robust design using 25mm box sections and 3mm wire mesh, features a unique modular bolt-together design using individual galvanized panels making it quick and easy to erect and dismantle. All supplied with the relevant hazard warning signage attached. 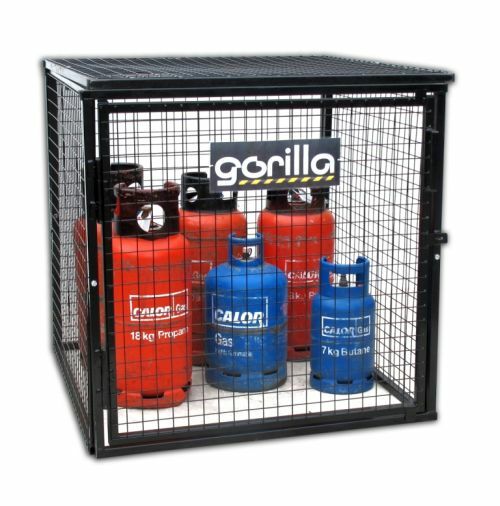 • They have been specially designed for storing gas cylinders and protect the cylinders and a variety of equipment from being tampered with or stolen. They have a padlock point to secure the unit from theft. Facility to fix to ground, for added security and stability. 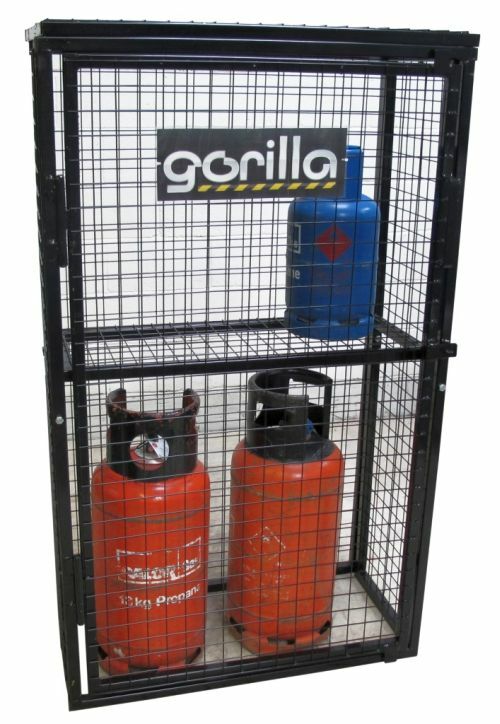 • For easy delivery these are flat-packed gas bottle cages and they come complete with all fixings to build the unit. 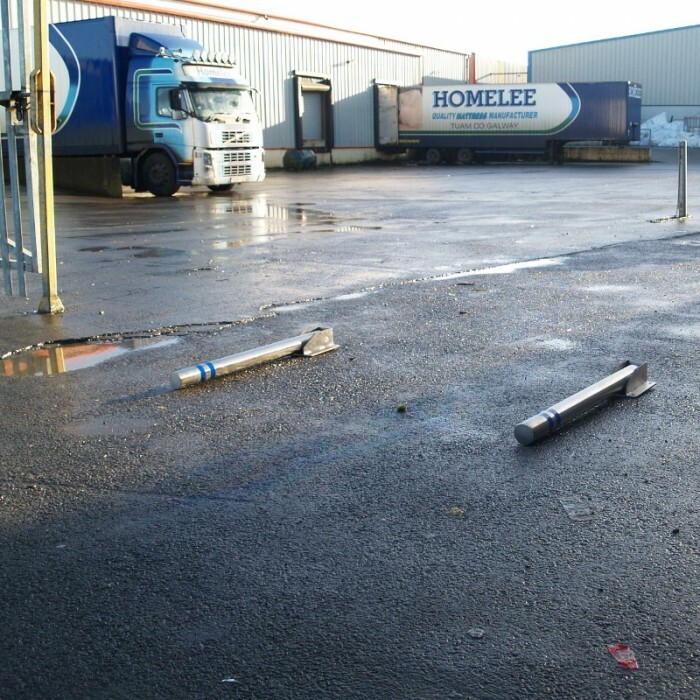 • Resists all weather conditions for maximum durability so is suitable for use on site or in the storage yard. • Customisable to suit any requirements. 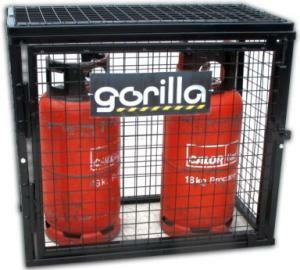 • A cost-effective alternative to most other gas bottle cages. Industrial Fabric Chemical Compatibility Guide. Please find a list below detailing the various chemicals approved and not approved to be used with various spill protection and containment products listed on the Merlin Industrial website.